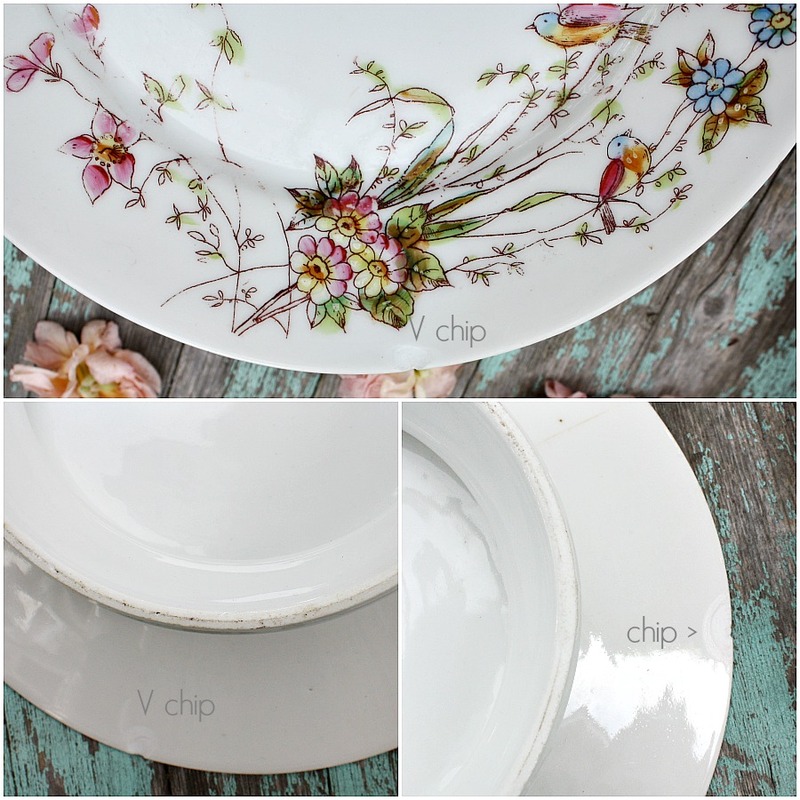 Shabby French footed cake plate, or compotier, which I fell for in a big way despite it's obvious flaws. 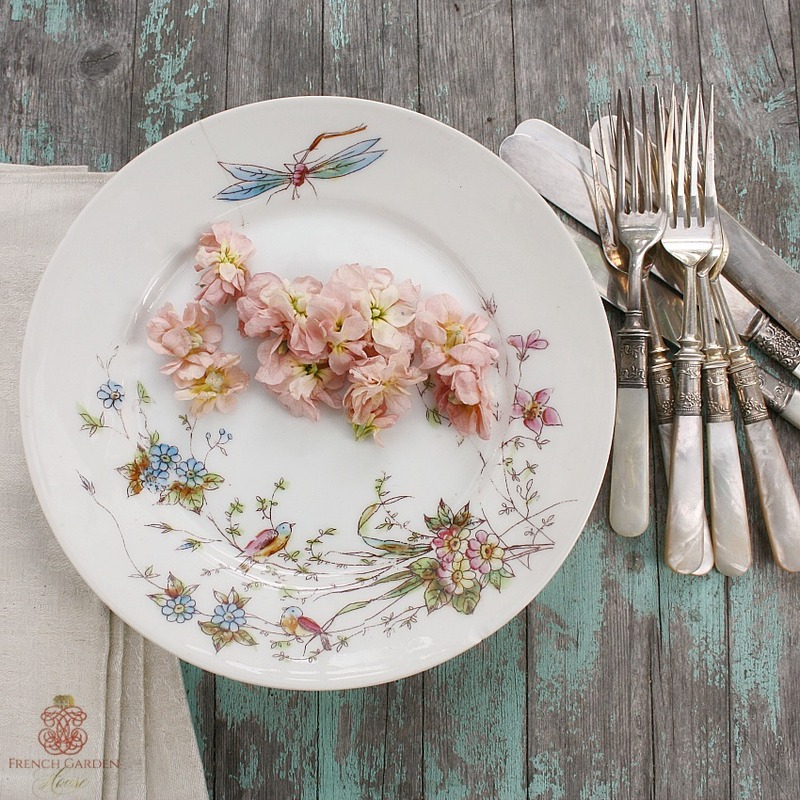 Made in the late 1800's, this gem was used for generations by the same French family for all their summer parties and dinners. It served grand-mere's famous madeleines, but also fruit, and cheese. Not for you if you can't love this as is, with the grace and chips of time. 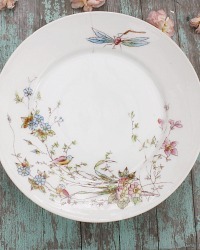 The beautiful Frecnch country floral design has two darling birds, and a large dragon fly, the transfer was hand painted. 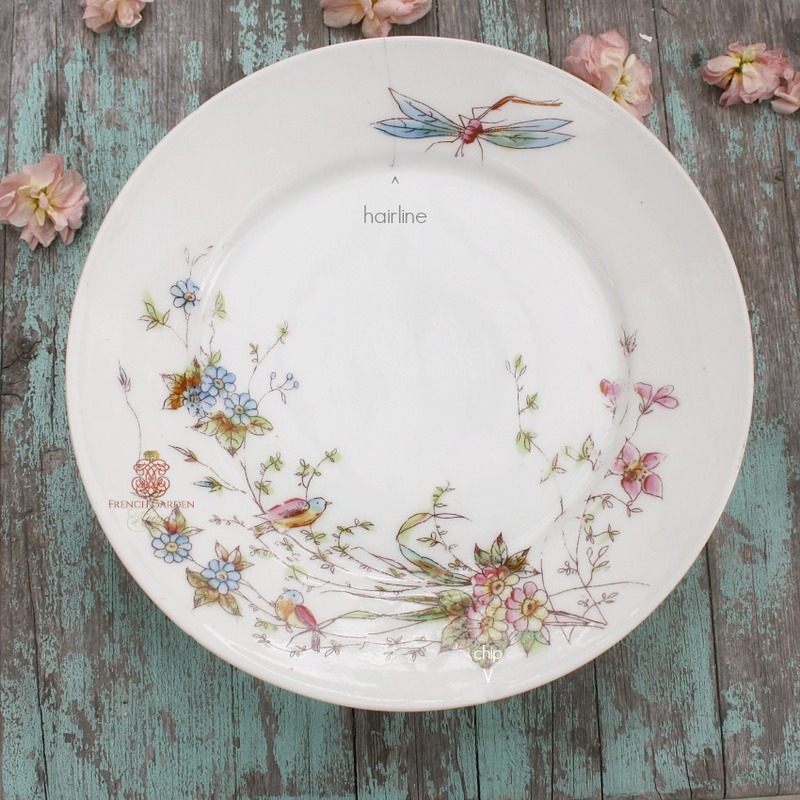 Lovely colors of light blue, pink, green, yellow and brown, this is a beautifully decorative dish to use when entertaining. Please note all the chips, and the hairline. Never mind, this design is so rare to find, most of these dishes were used and used because of the charming design, few survived. Measures 9" x 2-1/2"h.